Ciara and her NFL superstar husband Russell Wilson took a night off from their parental duties, and they attended the Clive Davis Pre-Grammy Party at the Beverly Hilton. For the glamorous evening, Ciara coordinated in his-and-her black ensembles. 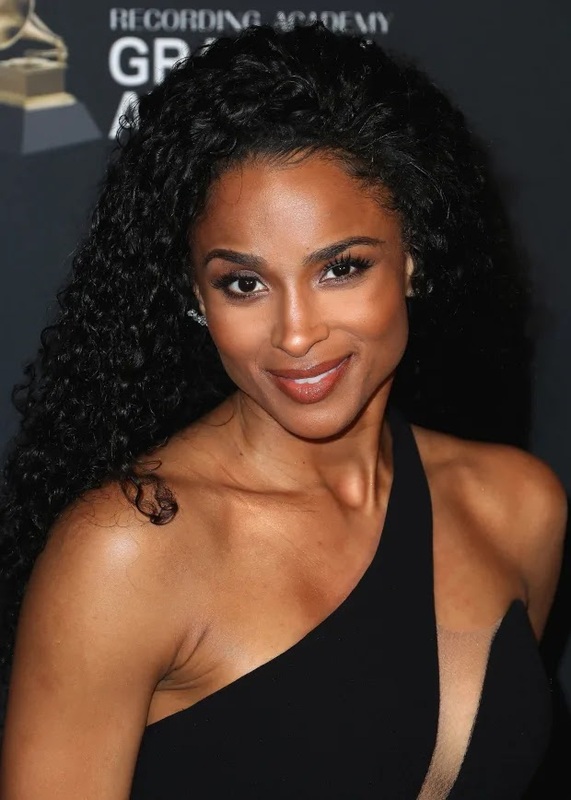 The 33-year-old Ciara wore her hair down showing off her curly texture, and she wore dramatic make-up featuring her lashes and a neutral lip. Russell, 30, wore a very dapper black tie suit that featured delicate sparkles.